In 1936, John Myers, Jr. established Myers Funeral Home in one of the most beautiful sections of Westminster across from what is now known as Emerald Hill (City Hall). For over 40 years he built a reputation by striving to become one of the most caring professionals in the field of funeral service. He constructed a facility that reflected his personality and philosophy by creating a warm, homelike atmosphere where the grieving process could begin. In 1984, John's nephew, Robert Myers, was called to continue providing funeral service under the Myers name. Robert answered that call with the intention of providing caring, quality service at an affordable price. In 1986 Robert's wife, Sueann, joined the firm, and the Myers tradition continued. Then, in June, 2002, a new family was invited to become associated with Myers Funeral Home. Justin Durboraw came on board, and on May 1, 2003 Myers-Durboraw Funeral Home, P.A. was formed. An expansion and renovation of the facilities took place during the spring of 2003. In early 2006, additional renovations of the outside facade, foyer, steps, porch, patio area and landscaping were completed. The Myers-Durboraw philosophy is simple: We are dedicated to assisting grieving families during their times of loss and mourning. We accomplish this with expertise in grief counseling, compassionate care, knowledgeable guidance, attention to detail and unparalleled professionalism. We are committed to providing a dignified and meaningful funeral or memorial service for each family's loved one that is entrusted to our care. We view that service as a sacred trust! At Myers-Durboraw, all funeral services and costs are clearly itemized and explained at the time arrangements are made. Families are given options from which to choose the goods & services they wish. There is no pressure to purchase expensive merchandise. We invite questions and are committed to addressing any concerns and answering all questions that families might have. We encourage individuals to consider funeral prearrangements, thus ensuring that personal wishes are known and relieving family members from having to make a variety of important decisions during an emotionally stressful time. One of our on-staff prearrangement counselors is available to meet with families or individuals at their convenience at home or at one of our three locations. Please call anytime for more information concerning our firm, our facilities, our services, funeral prearrangements or simply to schedule an appointment. Call 410-848-3933, and a member of our staff will assist you. Historic Westminister, 91 Willis St. The original portion of this English Tudor home was constructed by N. Claude Erb in 1936. It was owned by John E. Myers, Jr. who established an "undertaking parlor" and portrait studio in the house. A large skylight with northern exposure was incorporated into the original plans for this reason. Designed with flexibility in mind the house was also used for vocal music lessons given by Mr. Myers' brother-in-law, Henry Ackley. It's said that John Myers loved to eat and his wife loved to cook, so he considered opening a restaurant at the location if his undertaking business did not succeed. The original structure was expanded three times, once in the 1940's, once in the 50's and again in the 60's. Contractors were Charles & Edwin Armacost and Edgar Armacost's three sons, Kenneth, Bernard and Harold. The expansions included a chapel area, additional visitation area, office space, restrooms, preparation room and garage. Since 2000, a handicapped entrance and restroom were added and an interior wall was removed to make the funeral home more efficient and spacious. Many of the home's original features -- its walnut-finished woodwork, two-tone brick fireplace, sanded plaster walls, and arched cathedral ceiling -- remain, along with two of Mr. Myers' original art portraits. The building and funeral service business were purchased by Justin Durboraw in 2003. Now known as Myers-Durboraw Funeral Home, P.A., the tradition of professional, dignified, compassionate and caring service at 91 Willis Street continues. Charles O. Fuss came to Taneytown in 1878 from Uniontown where he had been raised and had learned the furniture-making trade from his father, David Fuss. He opened a furniture and casket business on George Street in Taneytown and soon expanded to include service to the community as an undertaker, as well. Business flourished, and he subsequently moved to the current location at 136 E. Baltimore Street. In 1914, C.O. Fuss' son, Merwyn, returned home from Ohio where he had attended Findlay College and the Cincinnati College of Embalming. He joined his father in the business and in 1919 became a partner in the firm. At that time C.O Fuss & Son ceased furniture production to concentrate on furniture sales and the expanding funeral business. With the death of C.O Fuss in 1930, Merwyn became the sole proprietor. 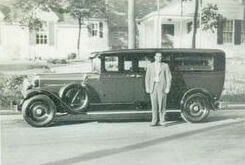 The funeral home saw many changes in 1932 with remodeling of the chapel, casket display room and preparation room. In 1938, John H. Skiles became employed with the firm. In 1941 he graduated from the McAllister Institue of Embalming in New York City. In 1958, furniture sales were discontinued, and the building was again remodeled to better suit the needs of the funeral home. When Merwyn Fuss retired, his now son-in-law, John H. Skiles, and grandson, John M. Skiles, continued the business. 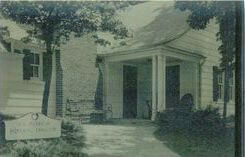 In 1972 the name of the business was changed to Skiles Funeral Home to comply with a new Maryland state law. In 1977 the business again expanded with the purchase of Dutch Wilson's Funeral Home in Emmitsburg, Maryland. With the passing of John H. Skiles in 1993, it was left to John M. Skiles, the great-grandson of original owner, C.O. Fuss, to continue the business. He did so, retiring in 2007. At that time, Skiles Funeral Homes in Taneytown and Emmitsburg were purchased by Myers-Durboraw Funeral Home, P.A.